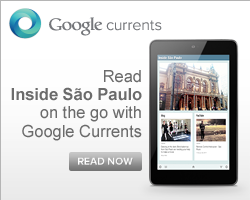 Inside São Paulo: Inside Sao Paulo is seeking an English native speaker for a proofreading job. Inside Sao Paulo is seeking an English native speaker for a proofreading job. The job is remunerated. Interested and qualified candidates, please send your cv at diego@insidesaopaulo.com by October the 30th and we will get in contact with you. I would like to thank you for the efforts you've made in writing this posting. I'm hoping the same very best function from you inside future too. In reality your creative writing abilities has inspired me to begin my own BlogEngine website now. Truly the blogging is spreading its wings rapidly. Your write up can be a fine example of it.